The best eye tracking experience in Watch Dogs 2 is natural targeting, primarily supported by the feature Hack at Gaze, Aim at Gaze and Cover at Gaze. Hack at Gaze enables you to run or drive in whatever direction you want while naturally profiling and hacking people, traffic lights and other hackable objects around you. Aim at Gaze adds a lot of value to gamers with a controller. Aim at Gaze makes it possible to aim in a way as if you were using a mouse, while at the same time maintaining all the other benefits of having a game controller instead of keyboard and mouse. Cover at Gaze makes it possible to naturally take cover in the direction you want without having to turn your character into the direction you want to go. Extended View provides a really good experience when driving and it's really neat when you're controlling your quadcopter since it gives you an easier time when you want to look around. Using Bungee zoom is an awesome way to move quickly across the map. You no longer have to adjust the camera in order to center your target. Now you can just simply look at any hackable target to hack them. How? Look at your target, then push left bumper [LB] and then you get a context menu in the lower right corner which presents different hacking possibilities. You navigate the options with the X, Y, A, and B buttons. Hackable targets are for example cameras, traffic lights, power stations and NPCs electronics, such as phones. Take aim to where your gaze is and then just fine adjust to take that great shot. How? Push the left trigger [LT] to aim, then fine adjust with the right thumbstick, then shoot with the right trigger [RT]. Move quickly across the map. You can bungee zoom from one place on the map to another with a click by just looking at where you want to go on the map. How? Push the left bumper [LB], map zooms out, gaze at where you want to go and release the left bumper [LB] to move to that part of the map where your gaze was. Please note that Bungee Zoom cannot be found in the Eye tracker menu in Settings. While in cover, you can smoothly move to another cover by just looking at where you want to go next. How? Press [A] to go into cover against a wall for example, then look at another place close by where you can hide and press [A] to smoothly move to cover. With extended view you have a bigger field of view with both eye tracking and head tracking. Eye tracking works well for smaller movements while head tracking complements with the wider movements. It works best while driving in first person or flying the quadcopter since you can easily look down while flying. How? You simply look up, down, left or right for the camera view to change. To change the view while driving, press the bottom button on the directional pad. While driving you can fire in the direction you’re looking. How? Equip a weapon by pushing the top directional pad button, then navigate around your inventory of weapons with your right thumbstick. 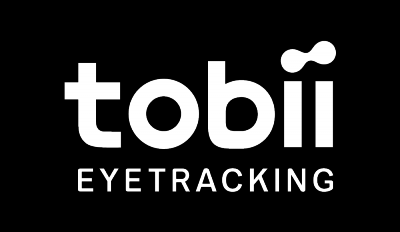 Go to your smartphone by pressing the start button and select Game options – Settings – Eyetracker to see the options for the eye tracking features. You have two options, you can set the Max Angle and the Sensitivity. The values are set from 0 – 100%. You can expand and contract the camera view angle.